Weddings in Crete organised our first wedding in Western Crete... we booked the church and arranged the wedding service. Weddings in Crete organised the flowers and a decorated car as well as the wedding reception. We arranged the wedding entertainment during the reception – including Cretan dancing and live Cretan music in the traditional Cretan village of Megala Chorafia. Sixty guests flew out to Crete to witness the wedding of Jim and Mary Davies, and all had a wonderful time... not just on the wedding night, but for the whole two weeks, including the Stag and Hen nights around Chania town..! Since then we have organised all kinds of weddings, ranging from the most intimate elopements to luxurious weddings with up to 200 guests. 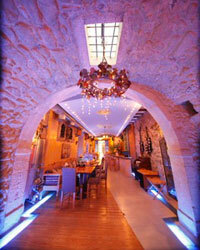 With fifteen years’ experience, no wedding is too small or too large for Weddings in Crete. 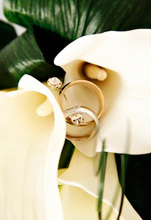 There is no fixed formula to a marriage organised by Weddings in Crete. With Weddings in Crete, each wedding is different — tailor-made to perfectly suit you. Many travel companies offer you a two-week holiday with your marriage. A package wedding abroad is like a package holiday — the same product designed to be sold over and over to many different people. Your wedding planner will be a holiday rep. So if you are looking for something a little more exclusive than a package wedding, Weddings in Crete offers you a way to choose every part of your wedding, through close contact with us, the most experienced wedding planners in Crete. 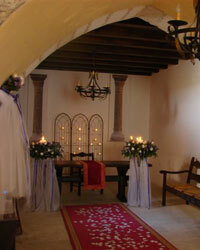 We can offer you the chance to have a completely bespoke wedding, unique only to you. Whether your luxury wedding plans are to elope or have a big party for all your friends and family, Weddings in Crete will make your dream day come true.